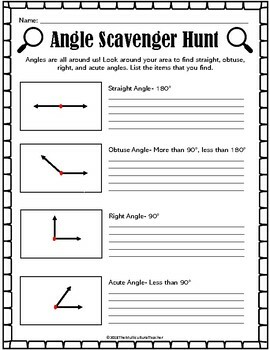 Angles are all around us! 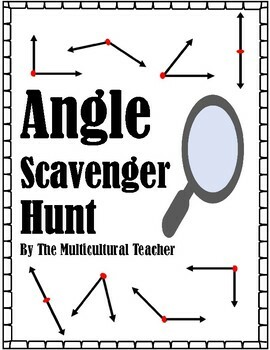 Students will go on a search to find real examples of straight, obtuse, right, and acute angles. 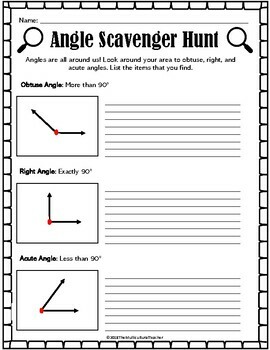 There are two versions of the worksheet: one with straight, obtuse, right, and acute angles and the other with obtuse, right, and acute.